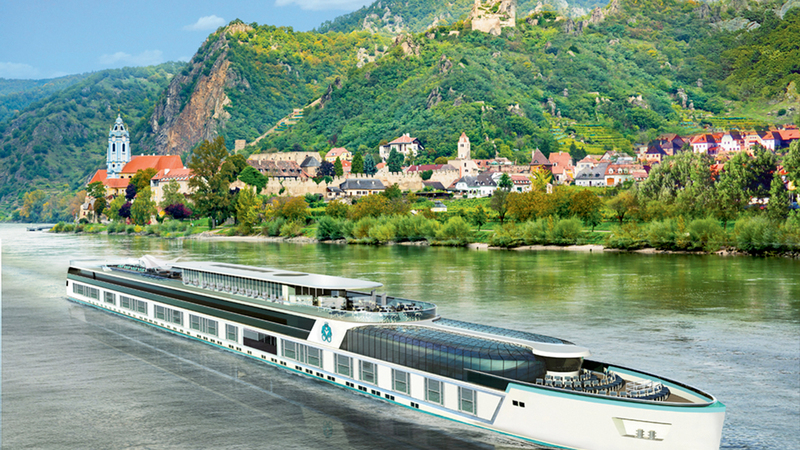 The new river cruise arm of Crystal Cruises is delaying plans to deploy two new vessels on rivers in France. Instead Crystal River Cruises is to increase its presence on the Danube, Main and Rhine, deploying four of its planned new build ‘river yachts’ in the region in 2017 and 2018. The shift in focus means redesigning and enlarging the company’s two Paris-class river vessels – Crystal Debussy and Crystal Ravel – as Rhine-class boats, and redeploying them east in 2018. Previously, Crystal Debussy and Crystal Ravel were to travel along the Seine, Rhone and Dordogne rivers in France from June and August 2017 respectively. No mention was made of recent terrorist incidents in France and the extension of the country’s state of emergency for six months following the deadly truck attack in Nice earlier in July. The luxury line, which draws a large proportion of passengers from the US, said the change away from France was based on passenger feedback “lauding the itineraries planned in Germany, Austria, Belgium, Amsterdam and Holland”. As a result, “the company has elected to delay its entrance into the French river cruise market, choosing instead to prioritise its offerings in the German/Austrian region in order to meet travellers’ demand for those experiences”. Chief executive and president Edie Rodriguez said: “Unlike an ocean-going ship that can accommodate a change in itinerary with short notice, a river ship operates within more confined parameters and is unable to re-route easily. The line is offering a series of compensation packages to people who have booked 2017 voyages on Crystal Debussy and Crystal Ravel including on board credits and future cruise credits worth up to $1,000. No details were given of how many bookings the line has received for the sailings in France. The new design places the vessels as part of the line’s 106-passenger Rhine-class series currently comprising Crystal Bach and Crystal Mahler, which are due to enter service June 18 and August 29, 2017 respectively. Crystal Debussy and Crystal Ravel are now due for maiden voyages in April 2018 and May 2018 respectively with detailed itineraries to be announced shortly, the company said. They will be increased in size from 110 metres to 135 metres, the maximum size permissible on the Rhine, Main and Danube. The increased length allows for the addition of a swimming pool with a sliding glass roof and more large suites. The move follows the recent launch of the line’s first luxury river cruiser, Crystal Mozart. In 2016, after several years of inexhaustible growth in the river cruise sector, some of the bigger players are taking a bit of a breather (and by breather, we mean not building as many new ships as in past years), while several newcomers and new products take a fresh stab at the market. 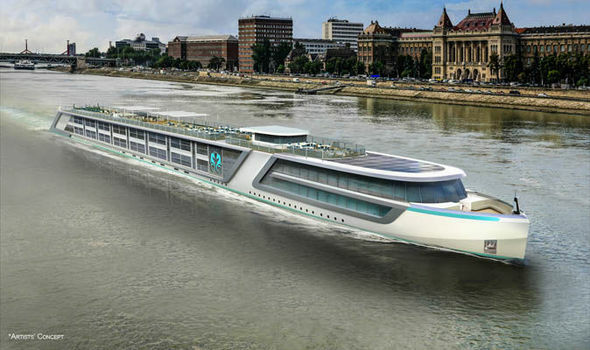 Most notable among the river cruise rookies is Crystal Cruises, which this year announced that it would be entering the river-cruise market with a fleet of five luxury yacht-style river vessels. The first of those will be the Crystal Mozart, formerly a Peter Deilmann vessel known as the Mozart, originally built in 1987. Crystal has four newbuild vessels on order for 2017. Following an extensive renovation, the Crystal Mozart will set sail on July 13, offering passengers their first glimpse of Crystal’s vision of river cruising. That will mean fewer, larger suites after the company transforms the 203-passenger Mozart to a 160-passenger capacity. The updated Crystal Mozart will feature suites ranging in size from 203 square feet to the 860-square-foot, two-bedroom Crystal Suites, the largest on any river. Crystal also is designing its itineraries so that much of the sailing takes place during the day, giving guests the opportunity to explore destinations in the evening, with ships docked in port overnight. It will be interesting to see how this nighttime-focused river cruise experience will resonate with river cruisers. According to Crystal, one big advantage will be fewer crowds in port, something that has become a bit of a challenge in Europe. Crystal has said it also plans to get passengers off ship as much as possible while docked, with onshore culinary experiences at Michelin-starred restaurants, evening events and entertainment. While Crystal will be making a run to convert the high-end, ocean-cruise customer to rivers, another new entrant into the river-cruise market, Adventures by Disney, will be attempting to get more families to sail the Danube. Adventures by Disney announced a partnership with AmaWaterways to develop a series of family-friendly cruises aboard the 158-passenger AmaStella in 2016. To better accommodate families, the AmaStella will usher in several new hardware concepts for AmaWaterways, including 12 staterooms that can accommodate up to three family members each; six sets of adjoining cabins connected via an internal doorway, accommodating families of up to five; and four suites with convertible sofa beds that can accommodate families of up to four. While courting families isn’t entirely new for river cruising (companies like Tauck and Uniworld Boutique River Cruise Collection have been doing it for years), actually designing a ship around the needs of families is new. And Disney will be taking the family-friendly concept a step further, for example, by having eight Adventures by Disney guides on each of its sailings in addition to the existing AmaWaterways crew. The Adventures by Disney sailings will also feature movies, karaoke and daily biking trips for younger passengers, as well as family-friendly excursions such as a horse show at the Lazar Equestrian Park in Hungary and a private marionette performance and strudel-making demonstration at the Schonbrunn Palace in Austria. Other river-cruise newbies are looking to introduce demographics into the arena as well, including Canadian tour operator G Adventures, which is hoping to get millennials onboard. G Adventures is introducing river cruises on the Mekong and Ganges rivers and on the canals of France’s Burgundy region in 2016, in addition to its existing Peruvian Amazon cruises. The line’s goal is to make what has traditionally been a higher-end travel product more accessible to younger, less- affluent clients. Uniworld’s much-anticipated Ganges River program in India officially sets sail in January, when the company begins chartering Haimark’s new luxury cruiser, the 56-passenger Ganges Voyager II. Uniworld’s new Ganges program promises to bring luxury amenities and services to India’s most notorious inland water route, which is quickly becoming the next river- cruising hot spot. Exotic river buffs will be happy to note that next year will also see continued development in Southeast Asia, where Pandaw River Expeditions is launching new and uncharted river routes, the latest being a 2016 sailing that travels the length of the Mekong River all the way from Thailand through Myanmar and Laos and into China, the first time the company will be offering a sailing that goes into China. 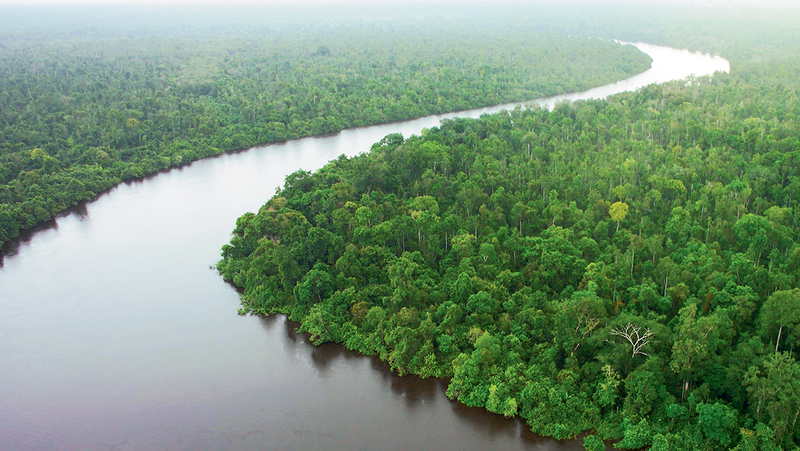 Scenic and Emerald Waterways also are adding capacity on the popular Mekong River in Vietnam and Cambodia next year. Ongoing growth in Europe, U.S. It wouldn’t be river cruising if there were not a continued influx of ships on next year’s agenda, namely on the always-popular European streams. The world’s largest river-cruise line, Viking River Cruises, will add six newbuilds, for a total of 52 ships in five years. Amawaterways, Avalon Waterways, Tauck and Scenic are each christening two new vessels in Europe next year, and four-star tenderfoot Emerald Waterways is adding a fifth ship in Europe. French river-cruise line CroisiEurope is celebrating 40 years in business next year as it continues to make more noise in the U.S. market with updated ships meant to meet U.S. standards, and the company will unveil its second European paddlewheeler (a unique concept for sailing shallower waters) on the Elbe River in spring. Another paddlewheeler, American Cruise Lines’ newest U.S.-based vessel, will launch in early 2016, marking the third Mississippi paddlewheeler that the line has built from the ground up. It joins the American Eagle, which launched in April, and the Queen of the Mississippi, which set sail in 2012.